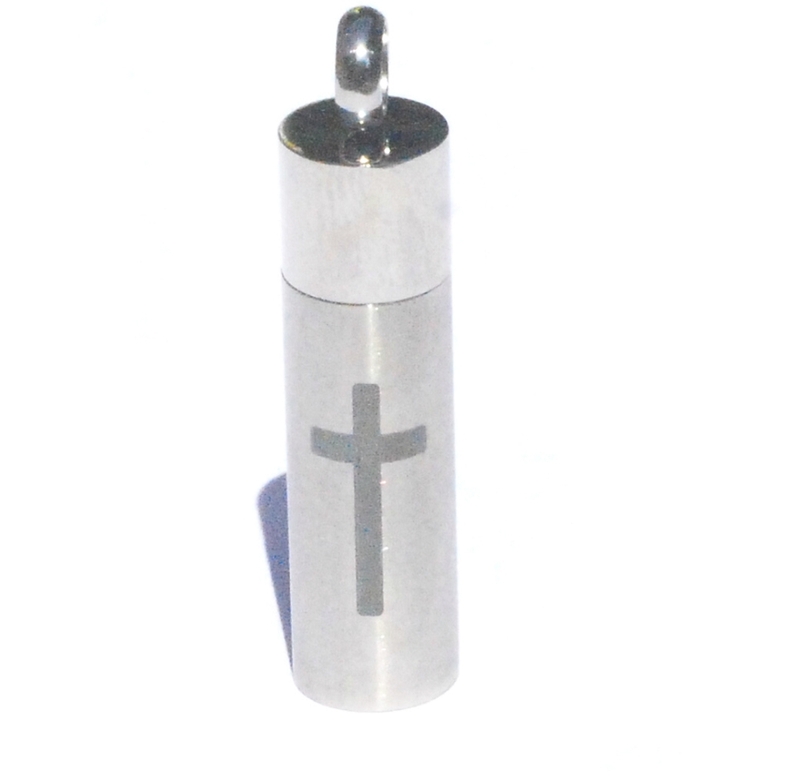 New 316L Stainless Steel Cylinder Stash Pendant with Cross. The Stash Pendant lib can screw open and close to store your keepsakes. These pendants are also know as Pill Boxes, Perfume Boxes, Urn Cremation Pendant jewelry, Stash Pill Box Pendants and Poison Boxes.